Lotus has released full information and photos of its latest sports car, the Evora. Previously known only by its “Eagle” code name. 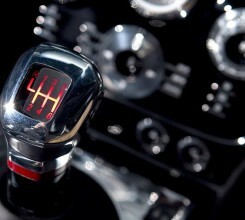 The car is the first of three new models Lotus promises as part of a five-model business plan to grow the niche brand. It is the first all-new addition to the lineup since 1995. 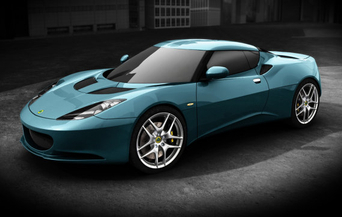 The Evora will go on sale in spring 2009, starting in Europe, with only 2000 to be built per year unless demand warrants adding a second shift at the Hethel, England, plant. Lotus still has not given hard numbers on how many are headed to the U.S. but it is expected they will arrive later in 2009 as 2010 models. The basic structure is similar to every other modern Lotus: mid-engine, lightweight, and smaller than most everything else on the road. The Evora has a sloped rear window and a fixed roof, although a convertible will arrive at a later date, and Lotus hints at further variants. Offered either as a true two-seater or with a 2+2 seating arrangement, Lotus warns buyers that the rear seats are only suitable for children, and we suspect only those with very short legs. Power will come from a Toyota 3.5-liter V-6 with variable valve timing, tuned to produce 276 horsepower and 252 lb-ft of torque, with a 0-to-60-mph sprint in less than five seconds and top speeds at around 160 mph. The Evora employs typical Lotus aerodynamic tricks to keep the car planted at high speeds, including a rear diffuser and spoiler. Because it aims to reach a different type of buyer from the almost racecar like Elise and Exige models, Evora features a more refined cabin with elegant trim and extensive equipment list with contemporary features such as touch screen multimedia centre, extensive connectivity for mobile phones and portable audio devices, and power mirrors. The Lotus Evora sets out to prove that if you have the engineering expertise, it’s possible to produce an outrageously enthralling, yet simple and cost-effective, Supercar.